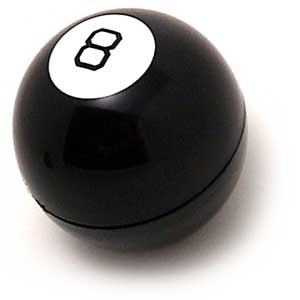 I just picked up my Magic 8-Ball and asked, “How many clicks and conversions will I get if I optimize my website for the search engines.” The Magic 8-Ball said, “Ask again later.” If you need to justify your Search Engine Optimization spend to your manager, you are not alone. Brand managers (and really all marketers) must quantify the value of their marketing spend. How do you keep track of brand awareness? How can you forecast future clicks and conversions? Sometimes it is about creating a road map so you know the destination. Without knowing where you are going, you can’t figure out how you can get there. Set goals that are attainable but don’t over promise. But still, how can you forecast the gains from optimizing your website for search? Fortunately, SEO is data driven and the industry offers forecasting strategies and tools to help you quantify the ROAS for website search optimization. Competitor analysis can help make quantifying the benefits of Search Engine Optimization easier (if they have optimized their website properly). Use competitor websites to forecast gains since they are in the same industry with the same target market. Don’t however put on blinders and only focus on your competitors. Why? You will miss out on all the new ideas other industries offer that can give you a competitive advantage. How do I spy on my competitors’ organic rankings? You can manually pull search data for hundreds of keywords or you can use tools like Spyfu. Spyfu allows you to spy on your competitors for both paid and organic search. Keep in mind that this is a forecasting tool and may not be 100% accurate. Spyfu can however offer a good competitor benchmark to help you get started with forecasting and quantification of search optimization. You may have heard the term, Google Sandbox. This is a theory that Google will wait until your website “grows up” and stops playing in the sandbox before it will offer prominent rankings. This is partially true but the sandbox is just a time delay. Google has to crawl trillions of Web pages and may only visit some websites every week or so. 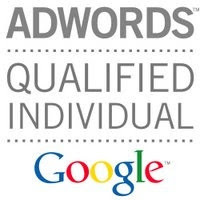 What does this means for your search engine optimization? On-page factors can offer quicker gains than off-page factors and external links. Once Google crawls your website (as long as you are not starting this website from scratch) it will use the new info about your website to improve rankings. It is however the external links that fall into the Sandbox Effect. Google will need to crawl your Web page and the external links that point to your Website. Then, crawl the external links to your external links (I think you get the picture). This takes time and the solution is to start building external links with a new website ASAP to quickly increase your rankings in Google. Take this in consideration when forecasting the gains you could receive from optimizing your website for search. Search optimization will help you get prominent rankings; optimized organic ads will assist in click-throughs, but to forecast conversions and ROAS take a look at your website. Does it offer a clear path to conversion? Do people land on the best Web page and find the products and services they are looking for? This is an important consideration when making predictions about future search successes.